If you have ever wanted to display the same image or video on two or more separate monitors, you can understand the need for a VGA splitter. VGA splitters are great for home theater projectors that are used in classrooms and home theaters as they allow you to continue using your desktop while you fiddle with the projector. 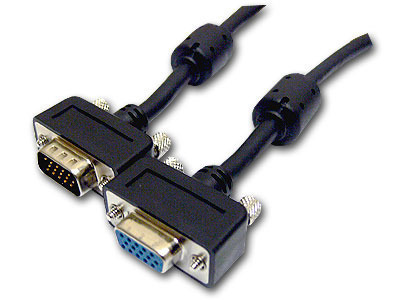 VGA splitters can also be used with your computer configurations to display one thing on one monitor and something completely different on the other, from the same computer. In this article, we will discuss VGA splitters, how they work, and popular VGA splitters on the market. A VGA splitter is a cable or device that allows you to separate a video signal into multiple connections and connect those individual signals to multiple devices. 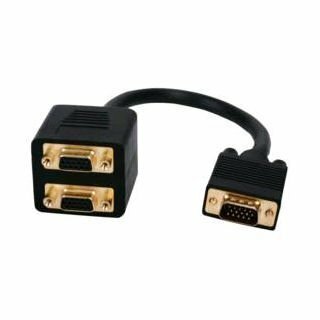 VGA splitters are often used for connecting projectors and televisions to your computer but they can also be used to connect multiple monitors to the same computer and have different windows appear on each monitor. VGA splitters are capable of performing quite a bit of functionality considering that they only do one thing. VGA splitters work by connecting to the computer&apos;s video port and then intercepting the computer video signal. With a single monitor, the video signal would flow from the computer to the monitor without any hault. With a VGA splitter, however, the video signal flows from the computer to a separator that breaks the signal into multiple signals. The two or more signals then continues on to their respective devices. As the VGA splitter must degrade the signal in order to separate it, many VGA splitters are capable of boosting video signals. VGA splitters are pretty easy to find on places such as Amazon and eBay but only if you know what you are looking for. 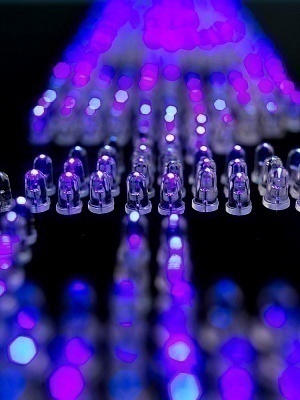 As most consumers are not experts in the field of video graphics, we have compiled a small list of good VGA splitters that are available on the market. The following is that list. The Belkin Components 6 ft VGA splitter allows you to connect one end to your PC and another end to one or two monitors. The cable is long enough for almost any use but short enough to not get in your way. Using a cable rather than a device saves space and doesn&apos;t create "bulk" around your computer. Cables are also great for extending to other devices such as home theater projectors and similar devices. The Tripp Lite 1 ft VGA Splitter is much like the Belkins Components 6 ft splitter but is shorter and is made for more advanced technologies. 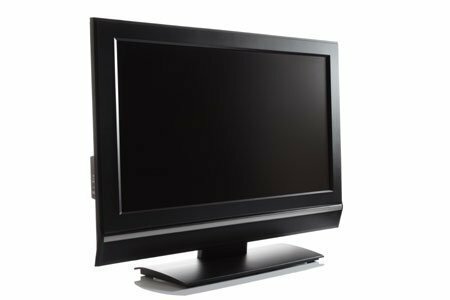 As the Tripp Lite is able to carry both analog and digital signals, it can be used for all sorts of devices including high-grade projecters, LCD monitors, and high definition devices. The Cables Unlimited 1 ft VGA splitter is capable of doing everything that the Belkin Components 6 ft VGA splitter can do but is much shorter. Generally for a device like this, you want the cable as long as possible so that you can stretch it across a desk or even a room. In some cases, however, you simply do not need the extra cable and you&apos;d rather not have 6 ft of cords piled up around your monitor. In these circumstances, go with the Cables Unlimited 1 ft VGA splitter. The Cables To Go Port Authority 2 VGA 4-Port Video Splitter/Extender is a device rather than a cable and sits upon your desk or TV cart. The device was made specifically for classrooms but can easily be used anywhere else and can distribute the same video signal to four different devices. Have your monitor, TV, projecter, and DVD player connected as one with this easy-to-use device. The Link Depot 150 Mhz 8-port VGA Splitter amounts to about the same as the Cables To Go version mentioned earlier. However, there are few subtle differences. For example, this product is made to work with up to 8 different devices rather than 4. Most people don&apos;t need this many ports but if you work in a classroom and want to connect your students&apos; computers to one device, all you would need is a few of these devices. The device is also good for stock quotes and data centers. 187 queries in 0.486 seconds.